One thing which Maxwell loves to do is build. 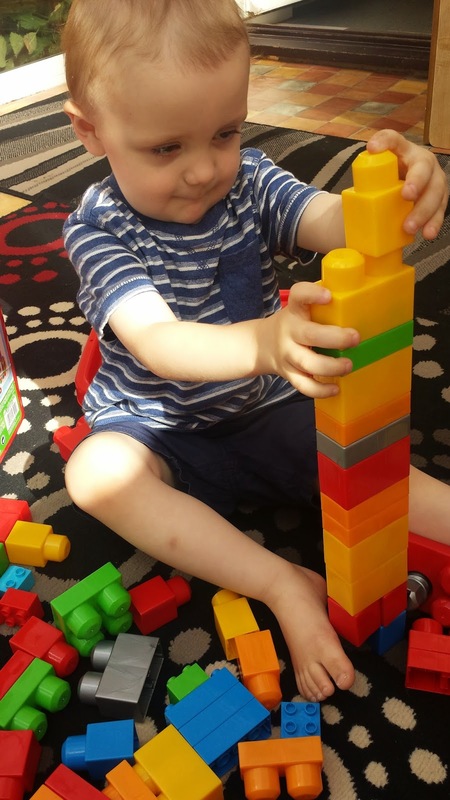 Whether it be using random items around the house, toy's or even his actual blocks, Maxwell love's to spend every day building something. 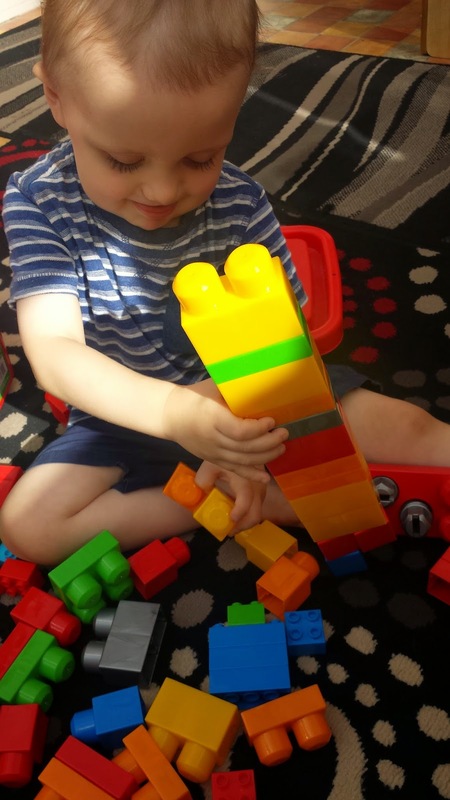 Recently Maxwell got himself a set of Lego which has seen him build lots of unusual things including a pirate ship and some animals. One of Maxwell's favorite things to build with is his Mega Bloks. I think he prefers to build with these as they are much bigger than any of the other bricks that he has. 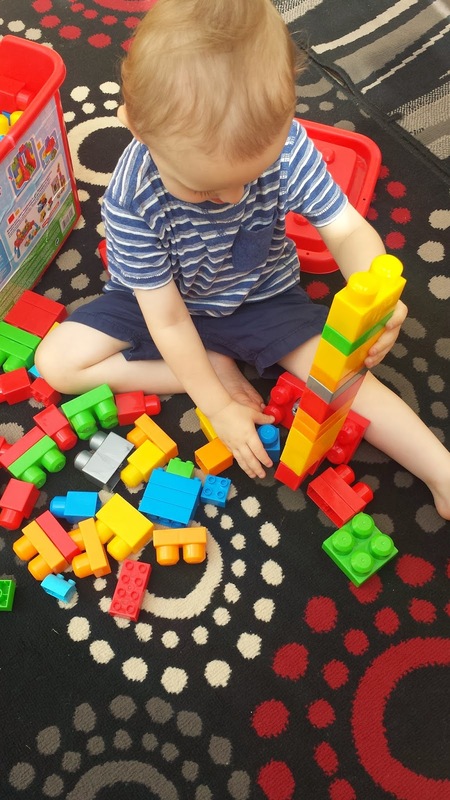 As his Mega Bloks are that little bit bigger, it enables him to create bigger towers and bigger animals all around. 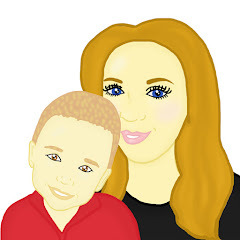 He also has a lot of Mega Bloks which means he is able to build lots of things all at one time. Maxwell and I decided we would have a building day for our 31 days of fun and we managed to build lots of things. 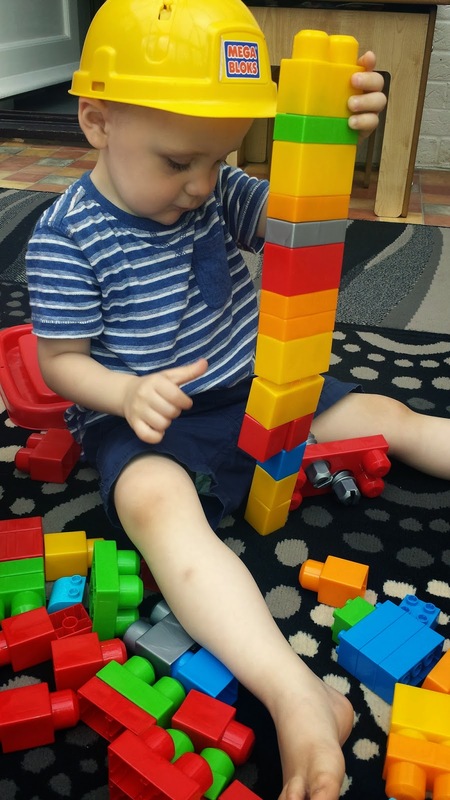 We build a giraffe, a and a large tower which towered over Maxwell. Maxwell really enjoyed building! Our building day was cheap to pull off as we already had the bricks and out building day managed to keep Maxwell quiet for ages.